Which way round do you work? Do you find inspiration from fabric, or do you love a pattern and then hunt down that special material to go with it? I tend to find a pattern or see a project, decide I want to make it and then buy the fabric. But occasionally I work the other way round especially with donated fabric, they just spark an idea. Here are some of my recent stashes, and the reasoning behind them. The dark denim was given to me by my mum, and I still haven't got a project for this, any ideas? Now these 2 fabrics are very heavy oil-cloth/vinyl type pieces, I bought them as remnants for 50p each as they were so cheap, but no idea what to do with them :-) ! This fabric is actually a pair of curtains from a sale at Argos, and I've got a few ideas in mind for this. The red cotton was bought with a specific project in mind, and I'll be showing you this one in a post soon! 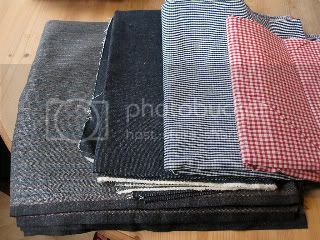 All this fabric was donated to me by my lovely mum, I think I'll make a jacket out of the wool suiting fabric on the left, although some wide legged trousers would be nice too. 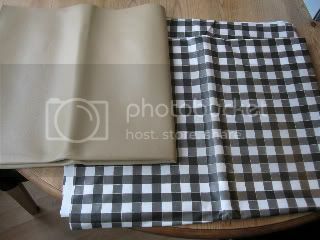 The 2 gingham fabrics are both stretch cotton so ideal for clothing but I don't have any ideas for these yet. Any thoughts? That's some of my recent stash, there is more but I'll save those for another post. 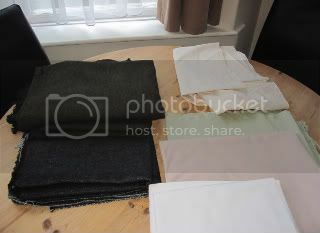 So which way round do you prefer to work, fabric then project, or project then fabric? I have stash envy now! 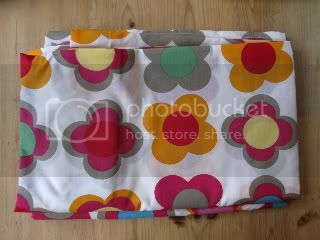 Some people make bags out of oil cloth or cover kitchen chairs (especially if they have messy kids!) I sometimes have my fabric for absolutely ages and then the right project comes along, and then other times like the look of a project and have to have the fabric right there and then! I do a bit of both. Buy fabric cause I love it but buy some specifically for a pattern Ive seen. Ive got way too much fabric at the moment and not enough inspiration! I'm glad it's not just me that buys random bits of fabric for no other reason than they look cool and are cheap ! 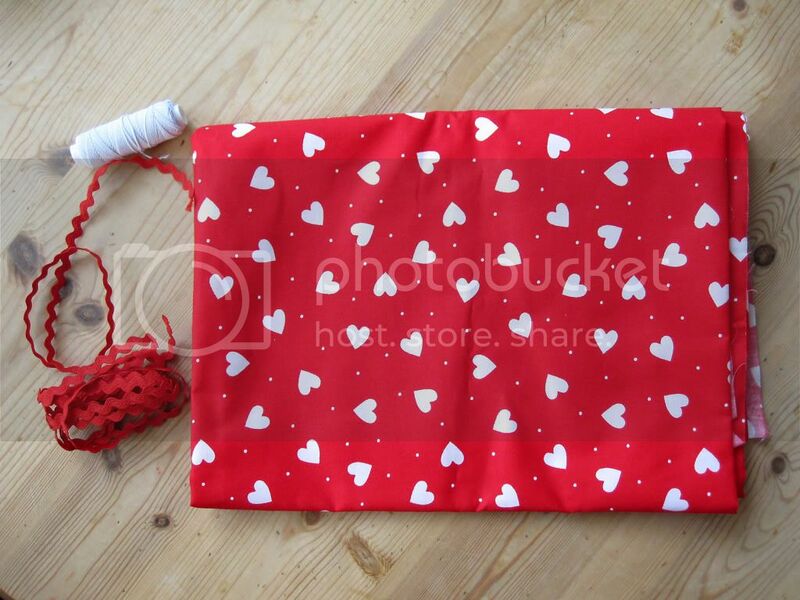 Im afraid sewing was never a passion of mine....just about tell the blunt end of the needle from the sharp, hated it at school and campaigned to do woodwork instead back in the days "girls didnt"
It can get me both ways- fabric bought for a project or a project bought for fabric. Doesn't stop me having a HUGE tub of fabric with no end destination in mind.